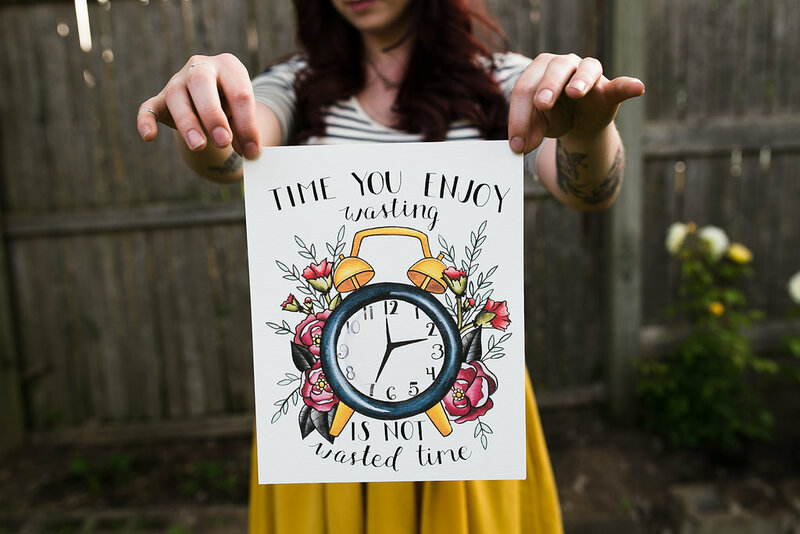 Today we’re featuring the fun (and often hilarious) illustrations of Kelsey DeLange of Honey and the Hive. 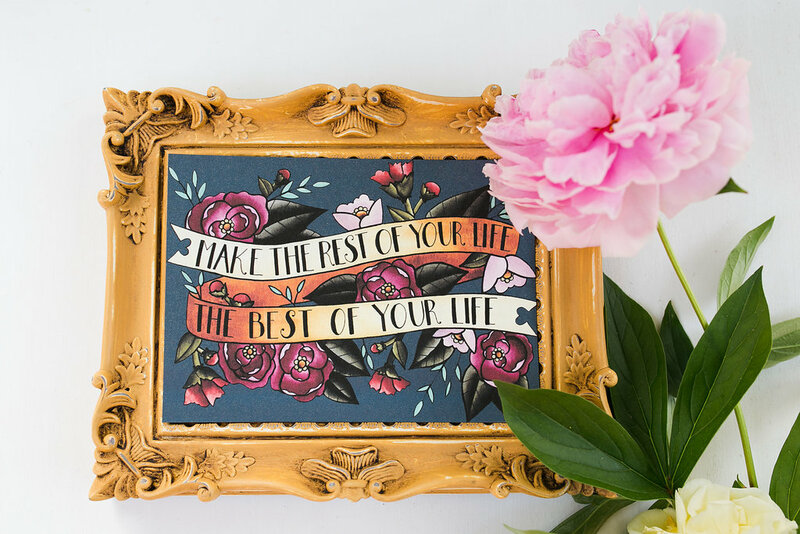 We fell in love with her prints right away since we’re always looking for sassy sayings to hang on our walls. 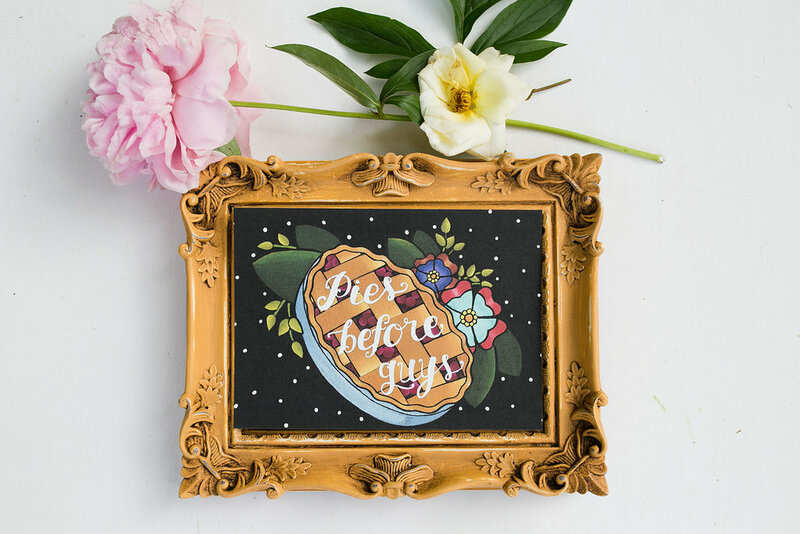 Not only does she have funny phrases, but she also sometimes pairs the words with food— which we love!, and has gorgeous inspirational prints as well. 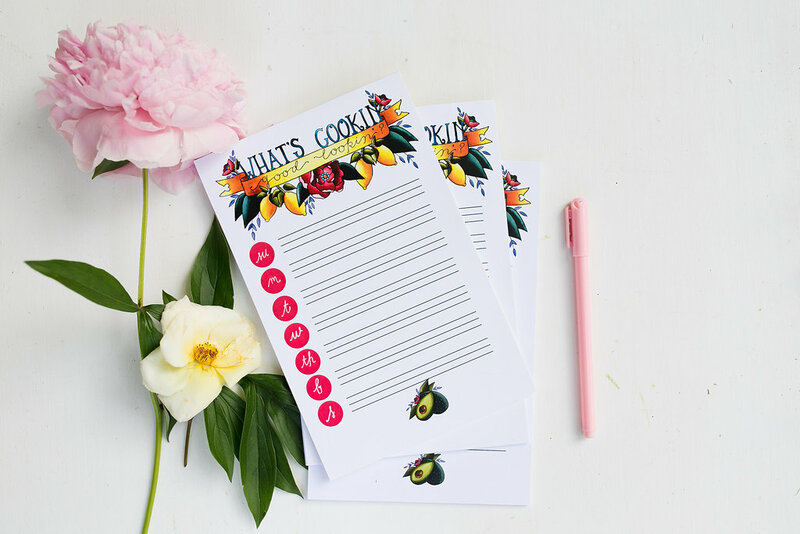 We just can’t get enough of their cheery vibe and bright colors! Read on to see more of her pieces and learn about the brand. : Hi there! 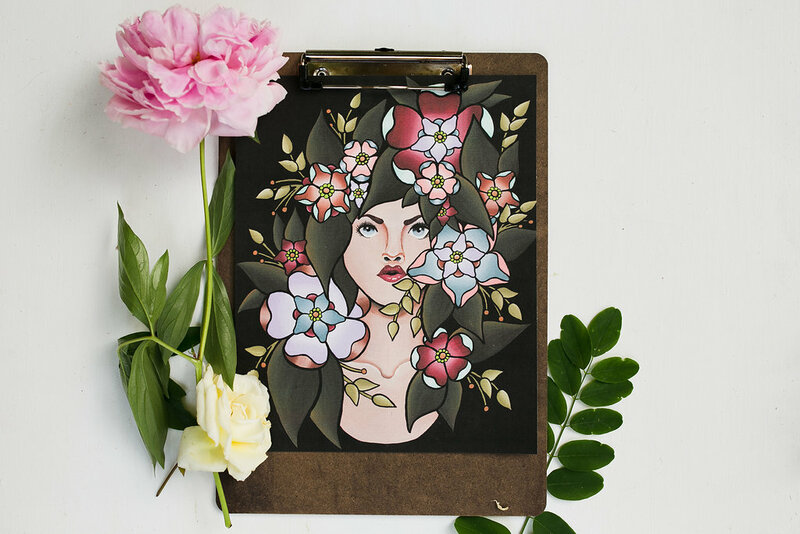 My name is Kelsey and I make brightly colored whimsical illustrations for my shop, Honey and the Hive. I live and work in a small town in Michigan, with my husband and our crazy cute tiny dude. 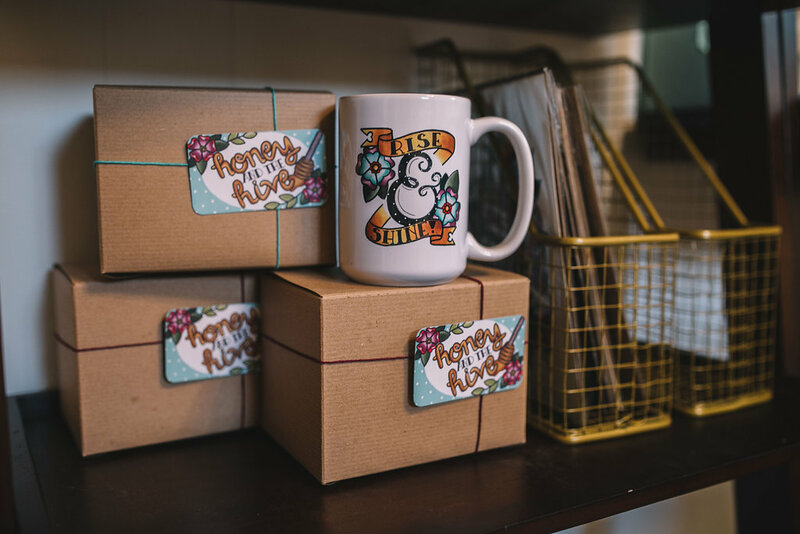 : How did Honey and The Hive begin? 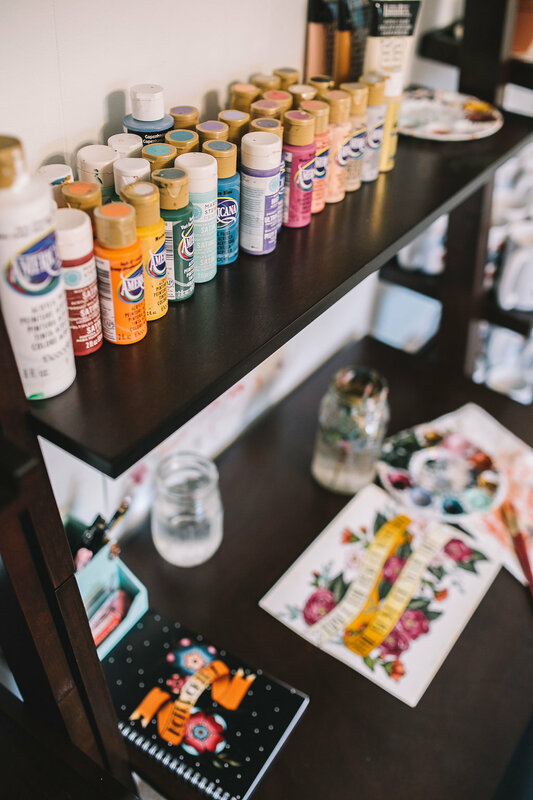 :I’ve been drawing and painting for as long as I can remember, I’ve always had a passion for making quirky and imaginative pieces full of bright colors and positive themes. But when it came to starting to sell my pieces, I kind of just dove into it, with no clear plan in sight. In a lot of ways, I think that’s the best thing that I could have done for myself because even though I may not have been “ready” by most people’s standards (including my own! ), it has allowed me to fully put myself out there and to trust my instincts to build a brand and a business that is uniquely my own. 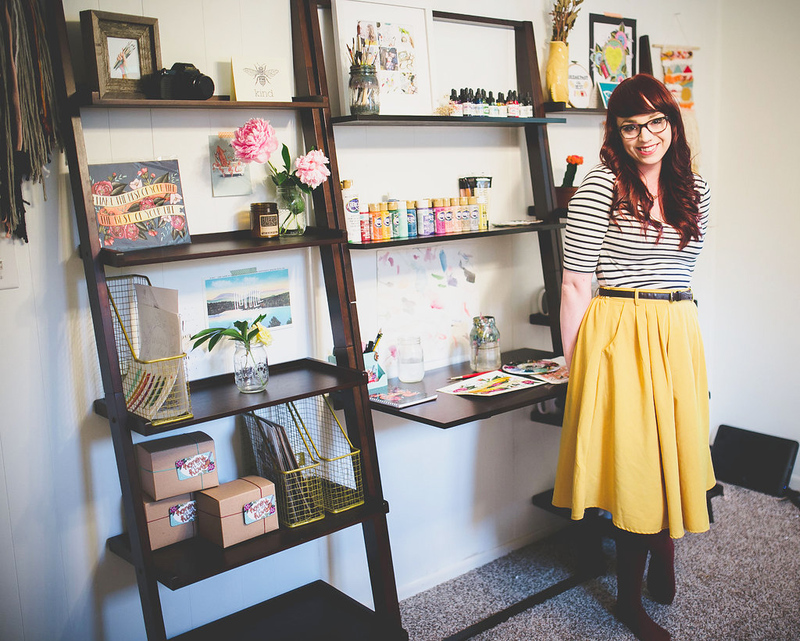 : You recently hit a milestone of 1,000 sales on your Etsy page! Congrats! What obstacles did you have to overcome to get yourself to this point? : Thank you so much, this was definitely a huge milestone for me! It’s so humbling to think that there are over 1,000 of my pieces adorning the walls of people’s homes, it blows me away. I think my biggest obstacle has been overcoming the negativity and staying true to myself. I’ve dealt with a lot of of people who told me that I couldn’t do this, and by learning to take that with a grain of salt, move past it, and continue making art that is fun and positive, I’ve been able to accomplish a lot and inspire others to do so in the process. : Many people are dying to free themselves from being chained to a desk. Why did you make the leap to start your own thing? : When my son was born, like most parents, my whole world changed. All I have wanted to do from that moment is soak up every second of him being small and to be present in these memories. 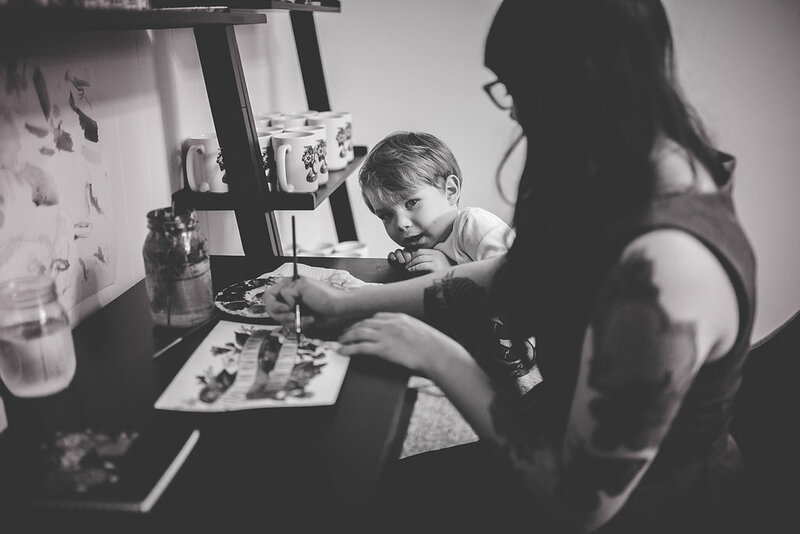 Being a working artist not only lets me do something that I absolutely love each and every day, but it allows me to be home with my son while doing it. A lot of my work is actually inspired by moments with him and our little adventures. : Did you have any formal training in art/painting? : I received a full scholarship to a local art college back in 2010 which I attended for a few semesters, though back then I was focusing mostly on graphite drawings. It wasn’t until being out on my own that I found my love for painting, which I greatly credit my husband for. 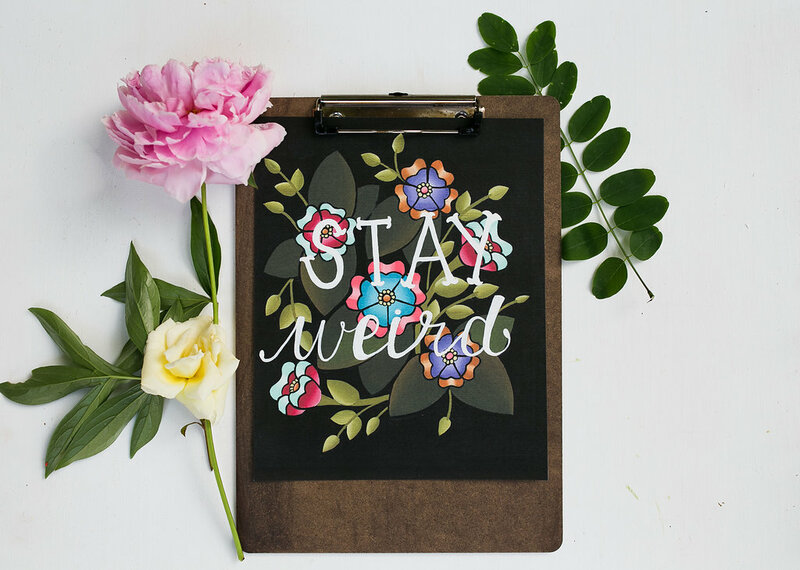 : We see you did a collab with Made By Betty B, who we’ve also featured in the past! Small world huh? What do you love about collaborating with other creatives? : Yes, I just love Bridget, it’s been so much fun getting to work so closely with someone who I not only regard as being incredibly talented and inspiring, but whom I’m able to consider such a close friend. Working with other creatives really opens the door to so many possibilities. It’s so fun to get to take a painting or a design and get to turn it into something completely different, with such a different function or purpose than what my work normally has. Collaborations are such a breath of fresh air, it’s always inspiring to step out of your comfort zone. : What media do you work with to make your paintings? : I work with watercolor and acrylic paints, I like to switch back and forth between the two depending on the piece. : Pick a piece and tell us your inspirations/thoughts/process behind its creation. : My “Flourish” painting is one of my favorite, and most personal pieces. I had woken up really early one morning, before the sun had even risen and came across this beautiful quote from Rupi Kaur, “It was when I stopped searching for home within others and lifted the foundations of home within myself I found there were no roots more intimate than those between a mind and body that have decided to be whole”. Those words were exactly what I needed to hear at that moment and it just felt so freeing, all I could think to do was put that feeling into a painting. 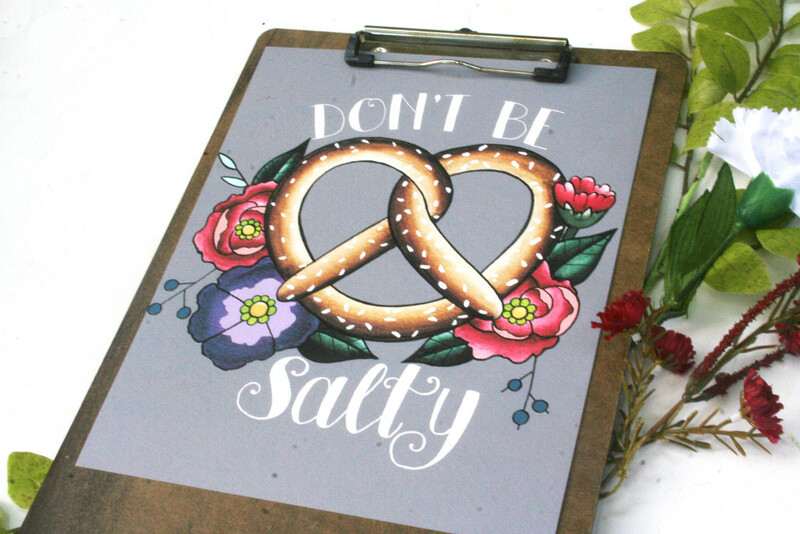 This particular piece is definitely a bit different from my usual quirky art, but it’s message is definitely a positive one and it’s a favorite of mine. : You do some custom pieces as well. What do you like about working directly with a client? : Working on custom pieces is great because I get an opportunity to take someone’s idea and really make it come to life, making something completely unique and personal to them. I do a lot of custom work for gifts and weddings, it’s always such a huge compliment to be able to make something that is so special from one person to another. : What are your future goals for Honey and The Hive? : To never stop growing. I want my art to be ever changing and ever improving, I am constantly pushing myself to try new mediums, experiment with new techniques, dabble into bolder color palettes and more complex subject matter. As long as I am learning and trying new things, I will always feel a sense of accomplishment in my work. : There’s a quote by Julia Child that resonates so strongly with me, “Find something you’re passionate about and keep tremendously interested in it.” I whole-heartedly believe that if you’re creating out of a love of creating that you will find your way and be successful in it. 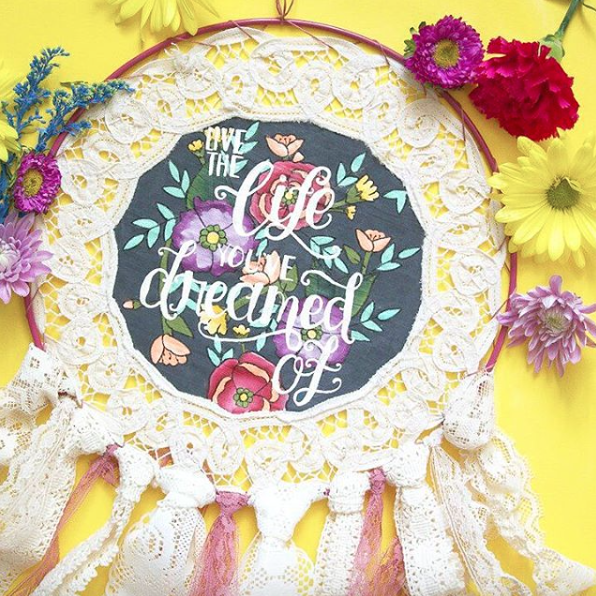 Check out all of the amazing stuff Honey and the Hive has to offer on byhoneyandthehive.com, Etsy: www.honeyandthehive.etsy.com as well as Instagram @honeyandthehive!